Recently I drove through the night to Boston with a co-worker to deliver a painting. 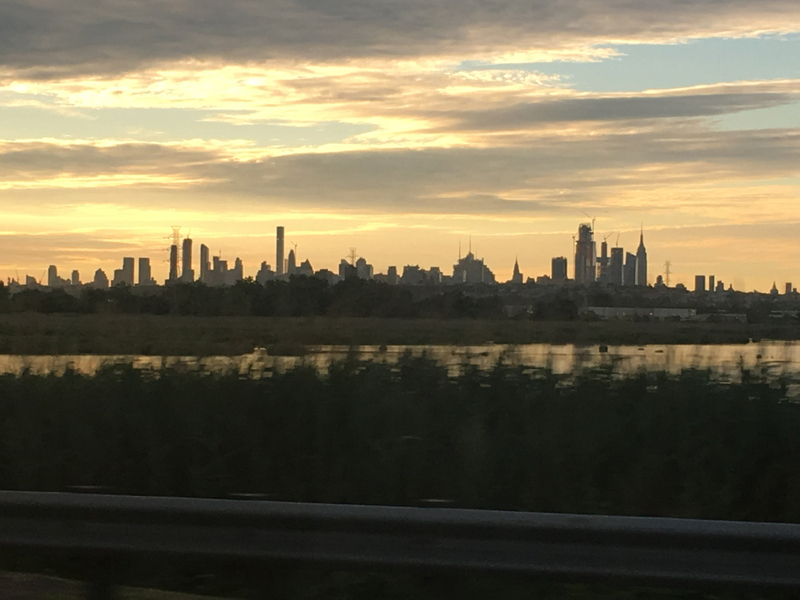 We drove through New York at sunrise. Check out this beautiful skyline!